Partly allowing a writ petition filed by the Madras Bar Association challenging various provisions of Chapter XXVII of the Indian Companies Act, 2013, more particularly Sections 408, 409, 411(3), 412, 413, 425, 431 and 434 – which broadly deal with the constitution of the National Company Law Tribunal (NCLT) and the Appellate tribunal (NCLAT), their powers to punish for contempt, prescription of qualifications including term of office, salary and allowances etc and structure of the selection committee for appointment of President/Members of the NCLT and Chairperson/Members of the NCLAT - the Supreme Court, re-affirming the directions given by it in its 2010 judgment in Union Of India vs R. Gandhi, the Supreme Court has held that only officers who are holding the ranks of Secretaries or Additional Secretaries of the Government of India alone are to be considered for appointment as technical Members of the NCLT. A Constitution Bench of the Apex Court led by CJI H L Dattu observed that Section 409(3) of the Act, 2013 which again makes the Joint Secretary to the Government of India or equivalent officer eligible for appointment, if he has 15 years experience as member of Indian Corporate Law Service or Indian Legal Service, out of which at least 3 years experience in the pay scale of Joint Secretary is clearly in the teeth of dicta pronounced in 2010 judgment. In Union Of India vs R. Gandhi, wherein the challenge was to the constitution of National Company Law Tribunal and National Company Law Appellate Tribunal (`NCLAT' or under the earlier Companies Act, the Supreme Court had declared that Parts 1B and 1C of the Act inserted vide the Companies (Second Amendment) Act, 2002 were unconstitutional after it noticed several defects in the provisions contained therein. Subsequently, Parliament had enacted the new Companies Act in 2013. The impugned Provisions of the new Act 2013 Act were analogous to Sections 10FD(3)(f)(g)(h), 10FE, 10FF, 10FL(2), 10FR(3), 10FT of the old Act. The grievance of the petitioner was that notwithstanding various directions given in 2010 judgment, the new provisions in the Act, 2013 are almost on the same lines as were incorporated in the Act, 1956 and, therefore, these provisions suffer from the vice of unconstitutionality as well on the application of the ratio in 2010 judgment. Mr. Datar, senior counsel, appearing for the petitioner therefore contended that these provisions which are contained in Sections 408, 409, 411(3), 412, 413, 425, 431 and 434 of the Act, 2013 are ultra vires the provisions of Article 14 of the Constitution and, therefore, warrant to be struck down as unconstitutional. 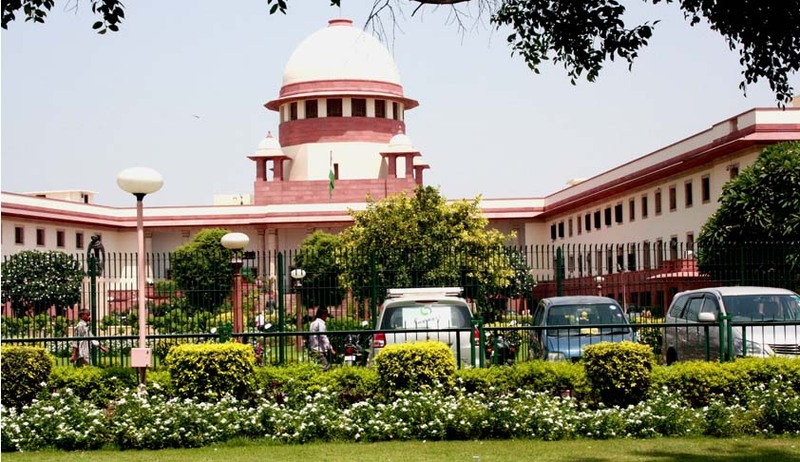 The Supreme Court however repelled the challenge to the constitutionality of the National Company Law Tribunal (NCLT) and the Appellate tribunal, holding that the same was barred by res judicata, inasmuch as the same was considered and dealt with by it in its 2010 judgment, and the issue cannot be reopened. With respect to the challenge of the petitioner to the provisions contained in the new Act dealing with the qualifications technical Members of NCLT/NCLAT, the Apex Court held that only officers who are holding the ranks of Secretaries or Additional Secretaries alone are to be considered for appointment as technical Members of NCLT. The Court then declared Section 409(3)(a) and (c) as well as Section 411(3) of the Companies Act 2013 as invalid as it tinkered with the ‘clear and categorical dicta in 2010 judgment’ and said that for appointment of technical Members to the NCLT, directions contained in sub-para (ii), (iii), (iv), (v) of para 120 of 2010 judgment will have to be scrupulously followed and these corrections are required to be made in Section 409(3) to set right the defects contained therein.